Propolis is a natural complex mixture produced by honey bees (particularly Apis mellifera L.) by collecting exudates from various plant sources. Characterized by a plethora of chemicals, propolis is generally rich in flavonoids, phenolic acids and terpene derivatives, bioactive compounds associated to it’s antimicrobial, anti-inflammatory, antimutagenic and antioxidant activities1. Previous work had shown that the ethanol extract of a sample from the Portuguese region of Beira Alta exhibited unique dual genotoxic and antigenotoxic effects using the yeast S. cerevisiae eukaryotic model2. In this work we prepared two ethanol extracts (EE) of propolis samples from Pereiro (P) - Beira Alta - collected in 2010 (P10.EE) and 2017 (P17.EE) to investigate the mechanisms of cytotoxicity and genotoxicity using specific S. cerevisiae mutants. While P17.EE didn’t show any toxic effect, yeast cells exposed to P10.EE showed a considerable decreased viability along time, assessed by colony-forming units. Interestingly, the oxidative stress response-defective mutant yap1 was more resistant than the wild type, suggesting that this cytotoxic effect was not mediated by oxidative stress. P.EE’s genotoxicity was also analysed by the nucleus-cytosolic translocation of NHP6A protein, considered a marker of necrosis. P10.EE induced NHP6A protein translocation to the cytoplasm, observed by fluorescence microscopy, suggesting that cytotoxicity of this extract was indeed mediated by necrosis. Although P17.EE didn’t seem to induce necrotic cell death, both extracts induced plasma membrane integrity loss, assessed by flow cytometry, using propidium iodide as marker. As recently observed for erythroleukemic cells with Brazilian propolis3, here we present the first evidence that also Portuguese propolis have necrotic-mediated cytotoxicity in yeast cells. 1. Zabaiou N, Fouache A, Trousson A, Baron S, Zellagui A, Lahouel M, Lobaccaro JMA (2017) Chemistry and Physics of Lipids 207: 214-222. 2. Cruz M, Antunes P, Paulo L, Ferreira AM, Cunha A, Almeida-Aguiar C, Oliveira R (2016) RSC Advances 55: 49806-49816. ISNAD ALVES, Hugo , PASSÃO, Catarina , SOUSA, Maria João , AGUIAR, Cristina Almeida , CUNHA, Ana , OLIVEIRA, Rui Pedro . "Mechanistic Studies of Cytotoxicity Induced by a Portuguese Propolis Extract, Using Saccharomyces cerevisiae as Eukaryotic Cell Model". 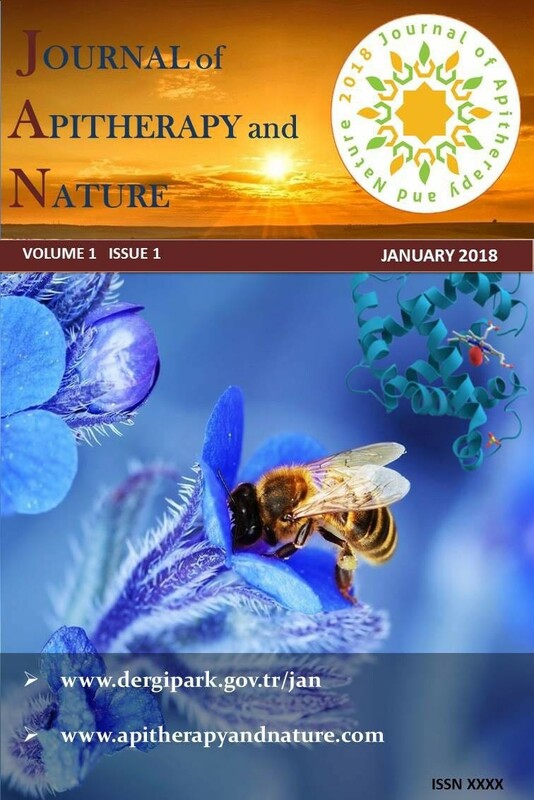 Journal of Apitherapy and Nature 1 / 3 (December 2018): 59-59.